We all know how hard the RAF work and how amazing they are and so, we thought that we would get together a collection of RAF hip flasks for you. 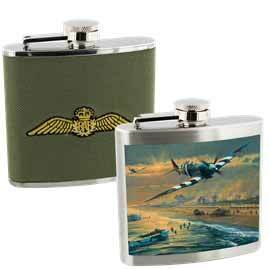 The RAF hip flasks that we have here at The Pocket Hip Flask Co are the Official licensed hip flasks. No knock off fakes here guys and gals! 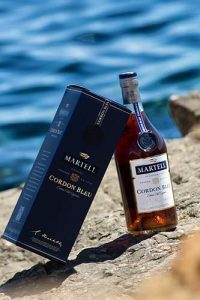 In all honesty, for me, Brandy was always an afterthought and never have I preferred to have a brandy over other drinks until…. until a wonderful mini break with my mother-in-law visiting some German Christmas Markets. Gosh this was a few years ago now.. We were in a little town called Rüdesheim which is just stunning, it was a cold winter day and we stopped off in a little cafe for a warm drink and this is where I became hooked. We had what was called a Rüdesheimer Kaffee. Wow delicious! Boy do we have something special for you lovely ladies with our new range of hip flask bangles. Gone are the days when you have to take a handbag with you everywhere you go just so you can carry your hip flask with you. With our hip flask bracelets no baggage is required – you can take them with you wherever you go and look super stylish while you do it. 9 times out of 10, when you good folk are buying hip flasks you do not have novelty hip flasks in mind. 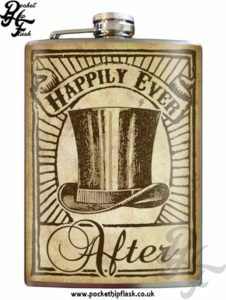 More often than not, a hip flask is purchased with great thought and sentiment as to what you think the recipient might like. Personalised messages and motifs are added to make then extra special. Sometimes though, serious just doesn’t cut it. When it comes to Absinthe preparation, there is a common misconception in the way that it should be done. 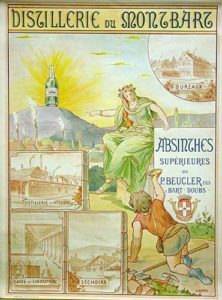 Many say that it should be done by burning a sugar cube over your glass of absinthe. Now, don’t get me wrong, that one of the ways to prepare the scrummy drink. It is not however, the traditional method. 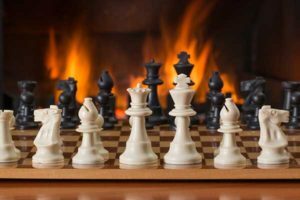 The tradition method is the original French way. Try them all and see what you like the best the taste does change depending in the method that you use. When most people think of hip flasks, usually they think of the nice silver colour that you see all the time. That is not a problem as the stainless steel and pewter hip flasks that you can buy have the beautiful silver colour that we all love however, times change and there is no reason that hip flasks need to stay stuck in the past. 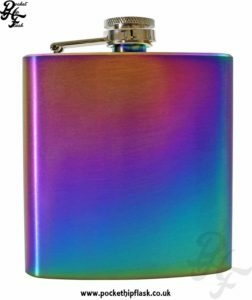 These days people love a touch of colour which is why coloured hip flasks are the new silver. Hip flask happiness is a wonderful thing and can, on occasion, also be described as hip flask smugness. The happiness that I speak of is that feeling of warmth that overcomes you when you take your hip flask out of your pocket, or bag – you take a swig and bam!, just what you need deliciousness. Perfect for those situations when you need a little warming or a little something to soothe your nerves. Why buy a budget flask? 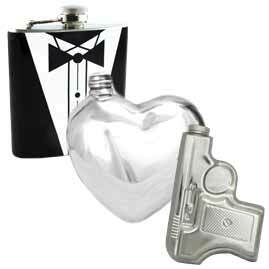 Hip flasks come in all shapes and sizes as well as many different quality types including budget hip flasks. Our budget steel flask is a lighter weight and cheaper alternative to it’s higher quality heavier counterpart, but why do these cheaper flasks have a place in the hip flask market? Simply put sometimes people either don’t want to spend the money on expensive flasks. Or, they are looking at a bulk order for an event or occasion. 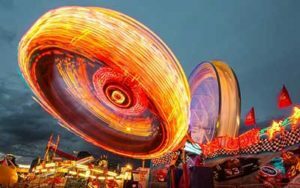 A full priced flask is just out of the question for such events as the shear quantity would push the price to unattainable levels. With the budget flask you can have a large order but with a much more reasonable cost. Now you have to remember that with a lower price comes a lower quality. (Come on you didn’t think you’d get the same high quality for such a low price, did you?). In the case of the budget flask this is evident in the weight as the budget flask is around one third lighter. Also the box is a standard stock box which cuts down on the cost. Budget flasks are still perfectly functional however so don’t think otherwise. This means you can still load them with your favourite liquor and have a jolly good time, pip pip. 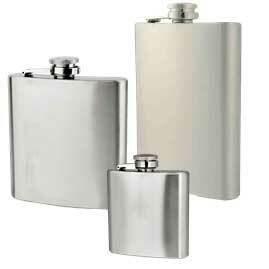 Thankfully, with our extensive range of budget flasks we can cater for most peoples needs. With an in house engraving service including logo engraving you’ll have an affordable flask that can be personalised. So to answer the question why buy a budget flask, they don’t break the bank, they can be ordered in bulk and so you can get everyone on your guest list a engraved flask for a very reasonable price. If on the other hand you are looking to really wow your recipient then please take a look at our pewter flask range or our standard steel flasks.